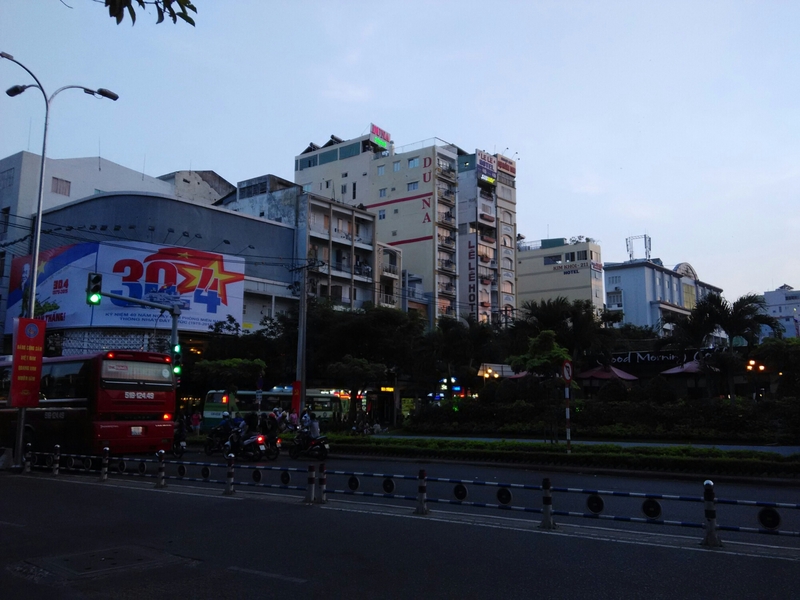 This is the exact spot where God revealed to me His vision and Heart for this land as I was prayer walking through the city of Saigon. It was here that He first showed me how much He loved these people and His plan to lead them out of their spiritual ‘wilderness’. That was a decade ago when I first visited Saigon for a short missions trip. Subsequently, I continued to make yearly similar short trips to Viet Nam. I did not know when or how God was going to send me. But I believed He would, and faithfully prepared myself while I waited. Later in 2008, God re-directed my steps and also challenged my traditional worldview on missions. He expanded my vision and understanding of Him, the Church, and His Kingdom. God showed me how I could be relevant and equally effective (if not more) by partnering with the Holy Spirit through the marketplace to engage the culture wherever I’m planted in demonstrating His love and power, just as Jesus did during His earthly ministry adopting a ‘tentmaker’ model. By this, I do not mean that we jump into ANY job that we can get our hands on to secure our livelihood and residency in that country as a ‘tentmaker’. That job or business should be one that I’m designed for in fulfilling His purpose in my life as well. This is because our secular work is an equally sacred ministry assigned by Him. And it’s His desire for us to enjoy our work, and not endure. Because when we enjoy what we do, we excel. And when we excel, He is glorified. Secular work is not a means for church ministry. Our secular work is ministry. It is where we can add value and make a positive impact by representing His kingdom and being an influence towards advancing His kingdom. That is the kind of gospel that needs to be planted. The gospel of His kingdom and not just salvation. Fast forward to today, I have now lived in Viet Nam for the past 4 years after He sent me by orchestrating a job opportunity that required me to be based in Saigon. Indeed, He is faithful. Ironically, I have finally discovered the true answer as I’m getting ready to return back to Singapore for my next God-assignment. That answer I have now understood is to prepare me for what awaits me ahead. On hindsight, if God had answered me much earlier, I probably might have questioned the rationale of His directive for me to come to Vietnam. Why waste time to take me to Viet Nam and bring me back? Huh… come here for such a short time and leave after establishing life here? But God being God, He knows best. His ways are higher than our ways and His thoughts higher than ours. May His kingdom come, His will be done on earth as it is in heaven.